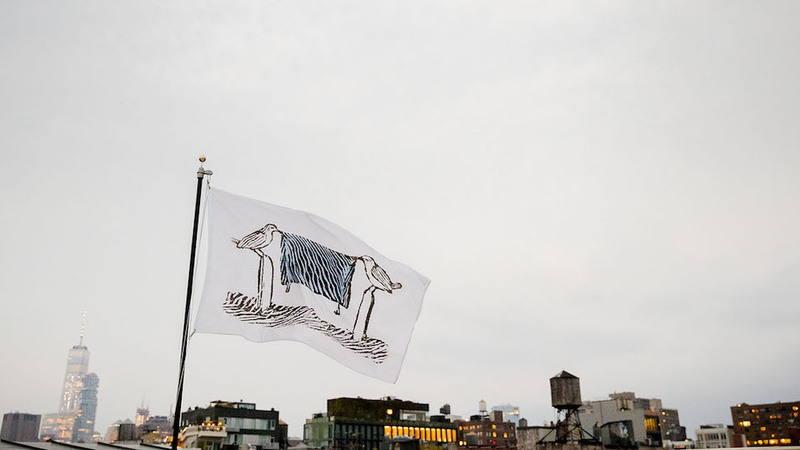 On June 14 (Flag Day), Creative Time launched Pledge of Allegiance, a new project commissioning 16 artists to create flags fly simultaneously at 12 art institutions around the country. I love the project—there are flags, new artists’ commissions, opportunities for artists to make topical political statements, opportunities for art organizations to self-organize and take risks. Caveat: NYC’s public art programs can host some of the most exciting and ambitious art here, but it’d be nice to see them take more risks with emerging, non-blue-chip artists, especially with new and auxiliary programming.